The event that draws thousands of readers of all ages and has been selected several years as one of the Kentucky Travel Industry Association’s “Spring Top 10 Festivals & Events” is beginning its 2015 chapter very soon! The annual Southern Kentucky Book Fest will be held April 17-18 at the Carroll Knicely Conference Center. Encouraging reading and spreading the love for books is very much valued in the Bowling Green community and what better way to promote literacy than to come out for the SOKY Book Fest? Join WKU Libraries, Barnes & Noble and the Warren County Public Library in this celebration of reading. The festival features 150 adult and children’s authors reaching all kinds of readers on the spectrum of book-lovers. The headlining authors presenting at the festival this year will be Diana Gabaldon, Siobhan Vivian, Jamie Ford and Terry Brooks. Along with big name authors, the SOKY Book Fest features a day dedicated to children, educators and librarians. Friday is Children’s Day! Book-lovers or not, children have the opportunity to meet their favorite authors, participate in dramatic and musical performances, and exercise their creativity in a “make and do” area. Also on Friday is the Kentucky Writer’s Conference, which includes free workshops on a variety of writing. The conference is free and open to the public. A new feature of the 2015 Kentucky Writers Conference will be the Writer’s Conference for Teens, a program developed specifically for area high school students. And finally, the annual SOKY Book Fest is Saturday! Come prepared to meet your favorite authors, listen to presentations and ask questions during the panels. There are books and authors for every type of reader ranging from suspense and romance to history, cookbooks, science fiction and much more. Please purchase the authors’ books before asking for an autograph! Saturday is a day to bring the whole family, fill your library and take part in Bowling Green’s love for literacy! Here is the schedule for the panel and presentation of this year’s book fest. 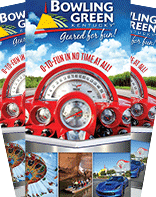 Going along with the SOKY Book Fest theme is this month’s #gearedforgiveaways Facebook contest! 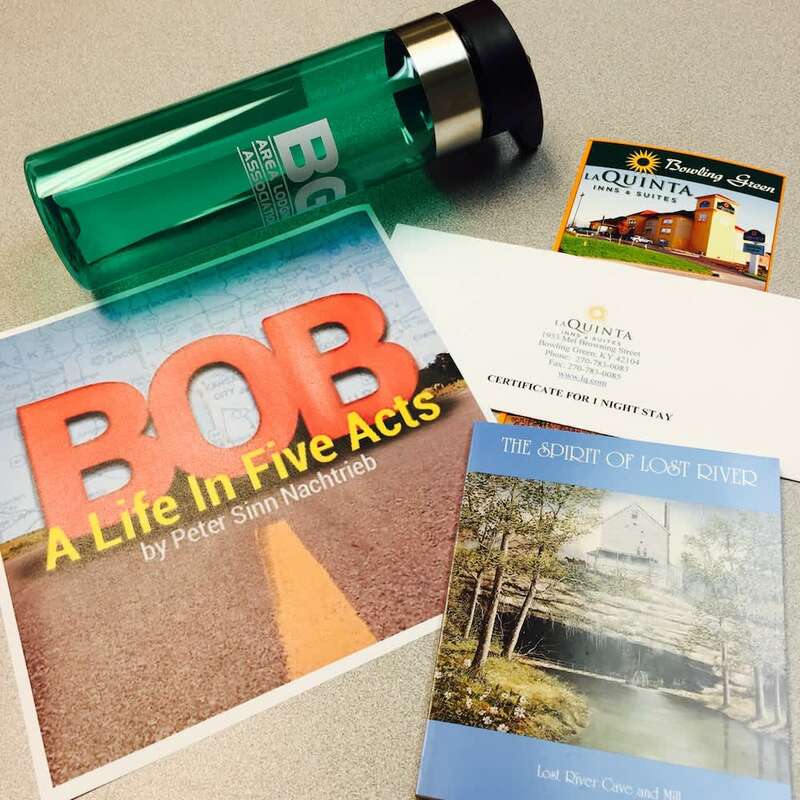 Our giveaway package includes a 1-night complimentary stay at La Quinta Inn & Suites, a Bowling Green Area Lodging Association water bottle, a Lost River Cave history book and two free tickets to “Bob: A Life in Five Acts” presented by the WKU Dept. of Theatre & Dance. Find us on Facebook and enter the contest running April 10-17 here.